Handmade titanium hoop earrings with tiny faceted hematite beads (dark grey semi precious stones with metallic aspect). They are light to wear, dark and shiny, understated and cosmic. 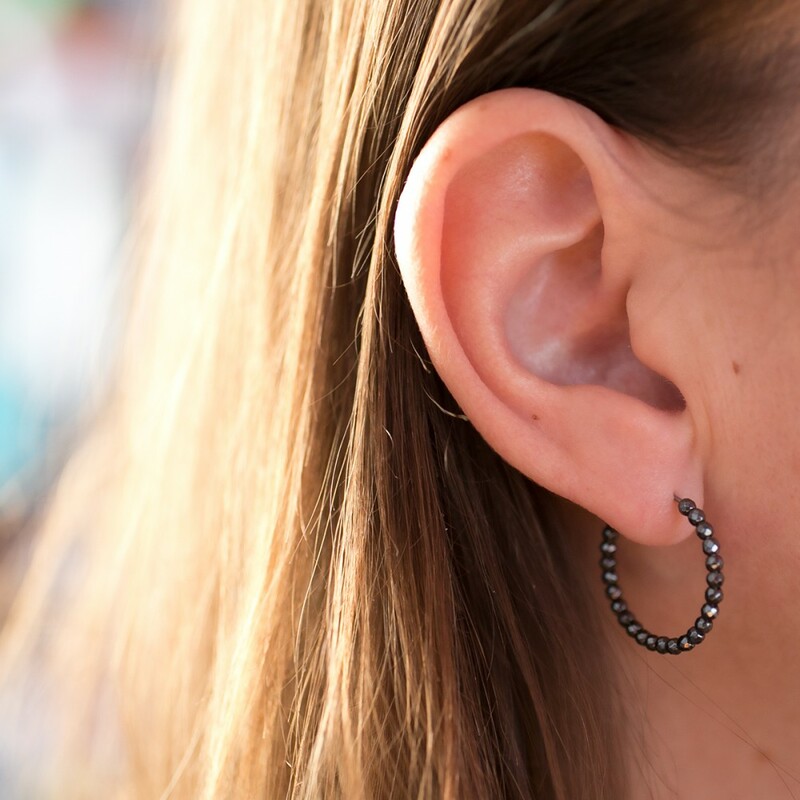 These hoop earrings are made with pure titanium wire (grade 1 – surgical quality). Especially designed for sensitive ears. They measure about 2cm in diameter and are covered with tiny hematite beads (gunmetal color gemstone). The beads are faceted and catch the light quite well. They won’t tarnish and don’t require much care. If necessary, clean them with soap and water, then dry with a soft cloth.